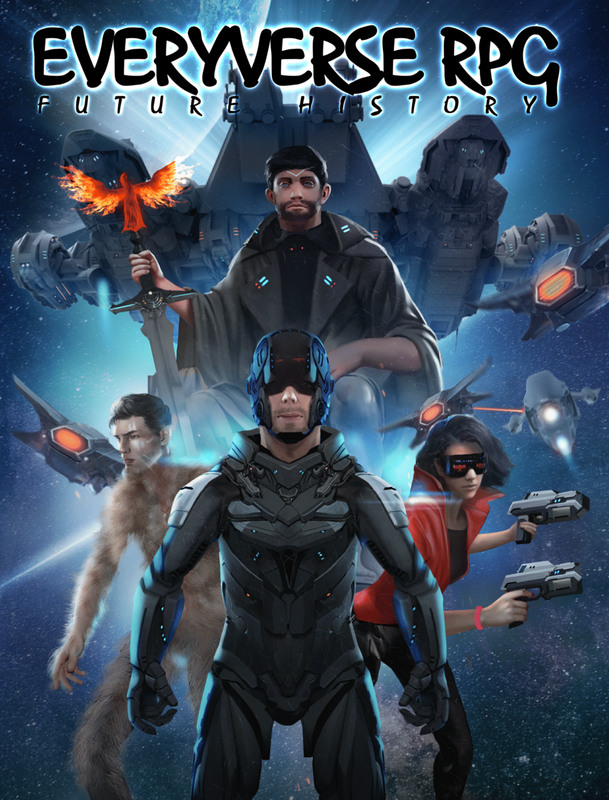 Interactive fiction? Shared daydream? An escape? A chance to cleanse the mind in the stream of another reality…? You can forget the cares of the daily grind. You can realize facets of yourself that may never find expression in real life. I know I did. 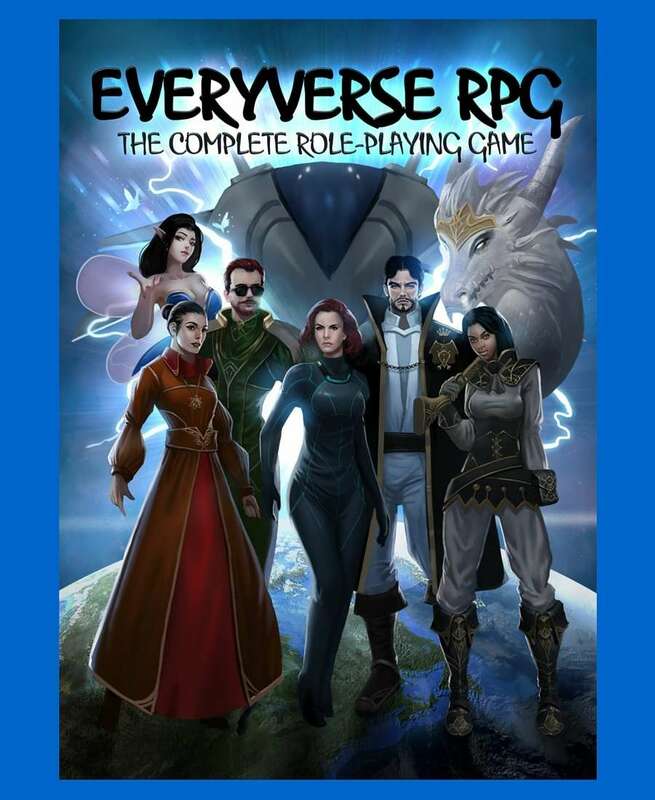 Hello, I’m Debra Hoenig Parizek , widow of Dennis, the EVERYVERSE RPG designer. Pictured with me is Heathcliff, my dog. I am proud to be able to present this excellent role-playing gaming system. Allow me to point out the features of the COMPLETE role-playing game. There are five methods of character generation to suit every situation and taste. Uses the same scale in character generation and attempt that measures real-world IQ for more meaningful information at a glance. Tree-like skills arrays go from general to specific. Choose your own ease/realism tradeoff. A single method is used to resolve all actions. This lets you keep your nose out of the book. Follow the same path or improve your character over several lifetimes. 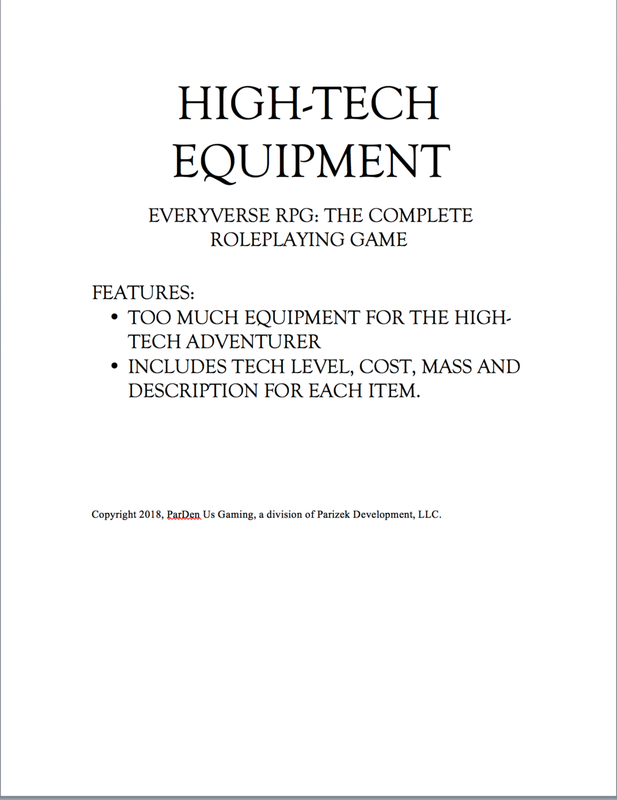 Translate between EVERYVERSE RPG and other games with minimum effort. 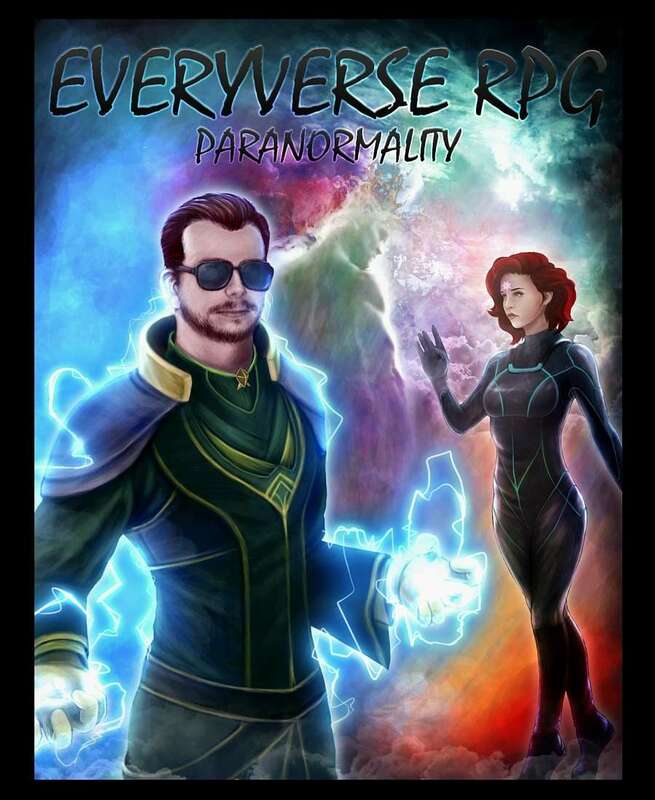 "EVERYVERSE allows for a free range of game play where characters are limited only by the players’ imagination. Easy to learn. A blast to play. I’ve never felt so free to be as creative in a game before." ~Wen Spencer, award-winning science fiction and fantasy author.